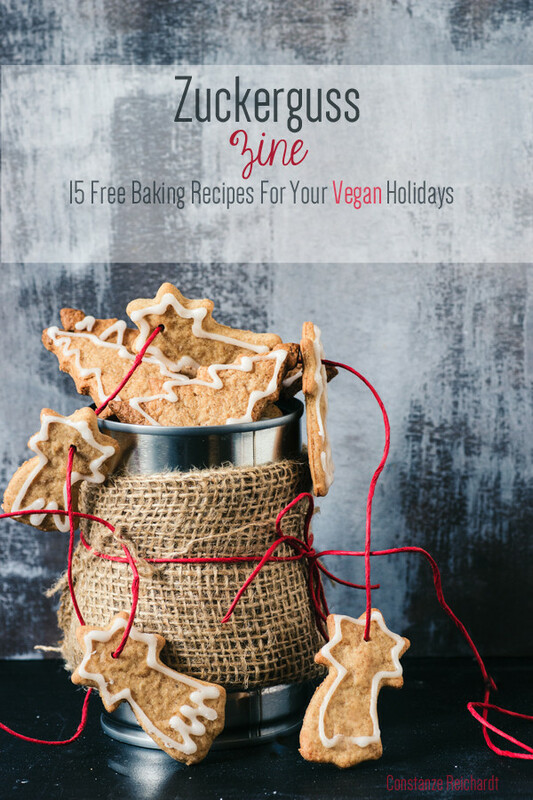 This free holiday season ebook contains 15 baking recipes plus 4 basic recipes for spice blends, a chocolate hazelnut spread, and my favourite spice cookie recipe (spekulatius). 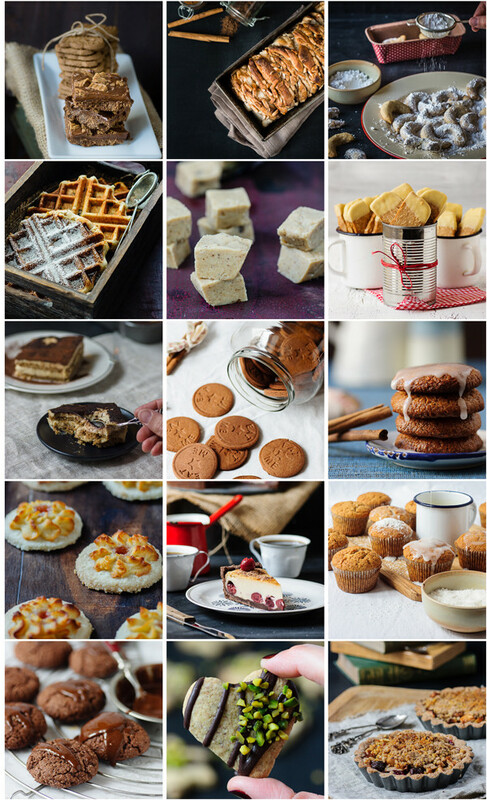 I know it’s probably not necessary if you’re a regular reader of this blog but I’m still gonna warn you: Almost all of the recipes do contain white wheat flour, white sugar and soy. Many of the recipes also call for nuts. I mostly use refined coconut oil for baking which is a very cheap staple here and (with some adjustments) a great alternative to margarine made with palm oil. Like everything on this website this ebook is free. I would be very happy if you would spread the word and please feel free to share the link to the Zuckerguss Zine with your family and friends and on social media or your blog. Developing the recipes, taking the pictures, and assembling the contents was great fun but also much work and it took a lot of time. Please do not republish the contents of this ebook without my permission. If you have any questions, suggestions, or problems, please don’t hesitate to leave a comment here or contact me through email or on facebook. Let me know what you think, I hope you enjoy! Like everything on this website this ebook is free. I would be very happy if you would spread the word and please feel free to share the link to the Zuckerguss Zine with your family and friends and on social media or your blog. Developing the recipes, taking the pictures, and assembling the contents was great fun but also much work and it took a lot of time. Please do not republish the contents of this ebook without my permission. If you have any questions, suggestions, or problems, please don’t hesitate to leave a comment or contact me through email or on facebook. Let me know what you think, I hope you enjoy!